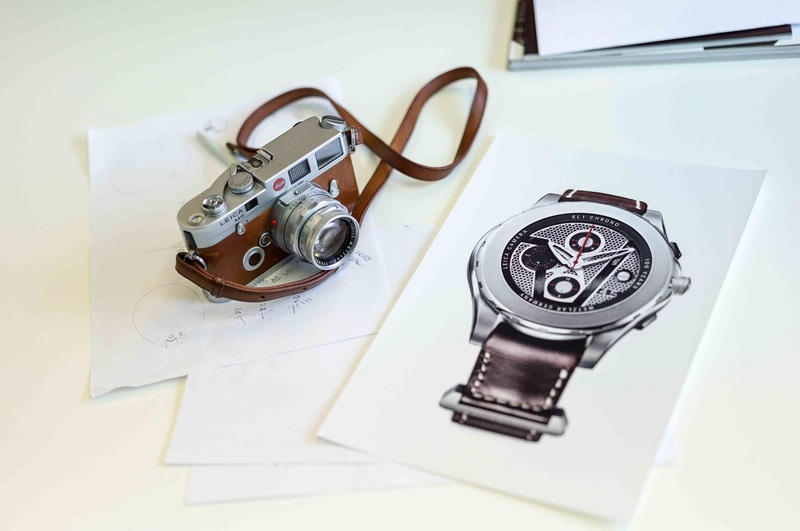 Leica, arguably the grandest name in cameras, has lent its name to independent watchmaker Valbray for a series of wristwatches to mark Leica’s centenary. Valbray’s most notable product is a wristwatch with a shutter over the dial, which Valbray calls this the Oculus diaphragm system. The diaphragm shutter works exactly like the shutter on a camera, hence the collaboration between Leica and Valbray for the legendary camera maker’s 100th anniversary. Operated by the rotating bezel, the 16 blades of the diaphragm shutter work exactly as they do on a camera. When open they reveal the chronograph registers on the dial, and once closed, they cover everything except the hour, minute and elapsed seconds hand. 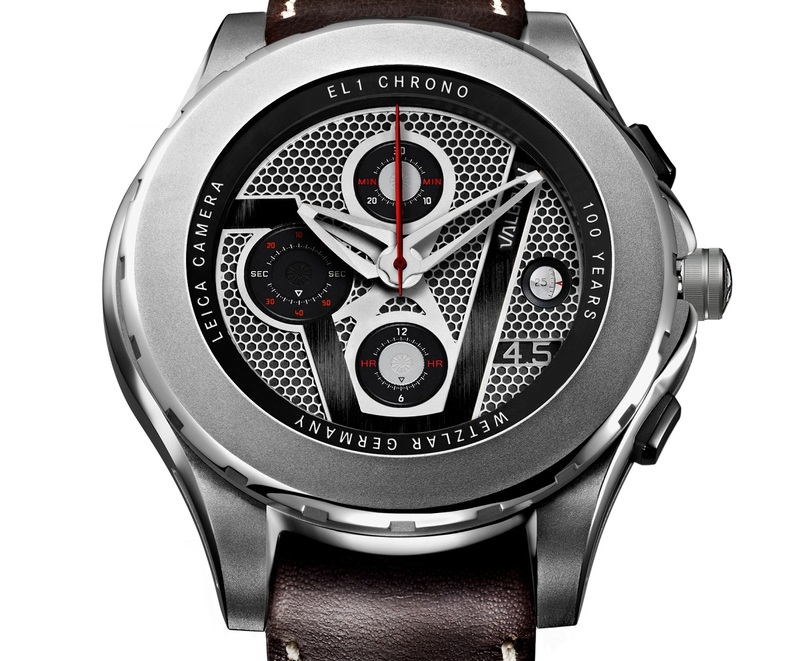 The EL1 Chronograph (after the initials of Leica founder Ernst Leitz; the brand is a contraction of “Leitz Camera”) has a 46 mm titanium case with the tried and tested Valjoux 7750 inside. Ostensibly based on the aesthetics of Leica cameras, the Leica-inspired bits are not readily apparent; the applied “4.5” on the dial a reference to the aperture of the first Leica camera. Despite the novelty of the shutter dial, the EL1 has an ordinary movement. It will have a far greater appeal for the die-hard Leica brand fanatic, rather than a watch collector. And then there’s the steep price. 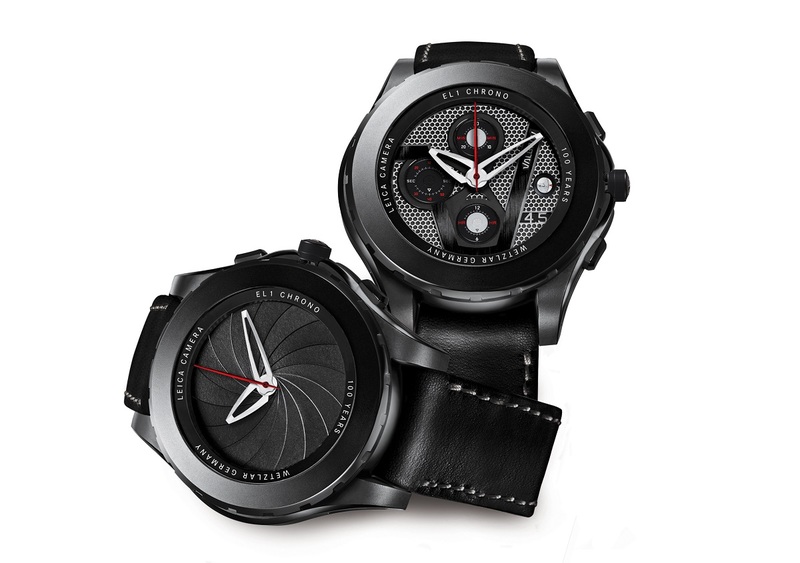 Priced at €17,999 (~US$24,600), these will be available from Leica boutiques and Valbray retailers. A total of 100 of the EL1 will be made, with 50 in natural finish titanium and the other 50 in black DLC coating.